This letter is to formalize objections that the Stevens County Cattlemen’s Association has in regards to the current Colville National Forest Plan Revision. We feel this letter is necessary to bring to your attention that the proposed CNF plan will have negative economic and social impacts, not only for ranch families, but also for the greater Tri-County economy. The management of the Colville National Forest is an important factor for the long-term health of Stevens, Ferry and Pend Oreille Counties. 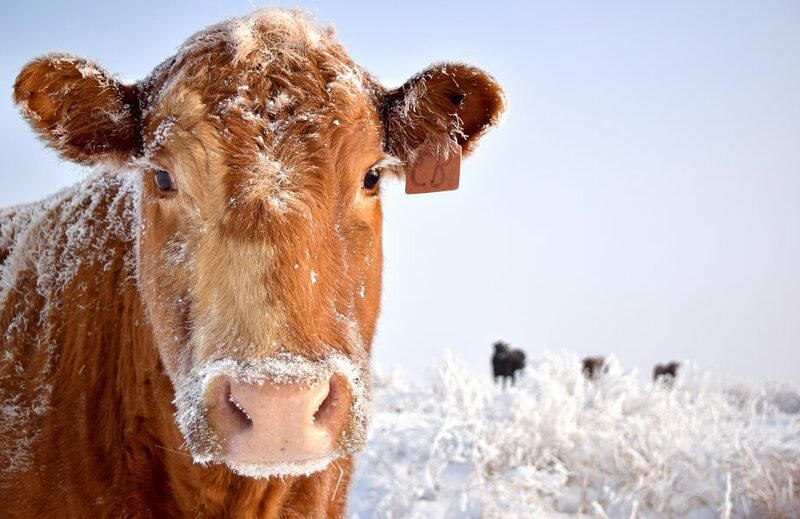 For our SCCA members, the proper management of the 42 grazing allotments currently available on the CNF is crucial to maintaining the 98 jobs and $1.5 million that grazing generates into the local economy each year. However, since 1988 the number of permitted AUMs (Animal Unit Months) on the CNF has declined from an average of 35,000 per year to approximately 29,500 per year. In addition, 16 grazing allotments have been closed due to USFS’ inability to complete National Environmental Policy Act (NEPA) assessments on these allotments. In addition to this decline in AUM stocking rates and fewer allotments available to ranchers, the proposed Colville National Forest Plan Revision would impose nonsensical, arbitrary restrictions onto the current allotments, making compliant management impossible. For instance, parts of the plan require that ranchers manage their cattle in order to leave enough grass for snowshoe hair that may eventually be eaten by lynx. Other areas require that ranchers leave six to eight inches of stubble height near waterways and salt blocks and watering tanks would be prohibited around rare plants. Additionally, cattle are required to be managed so they do not congregate on trails, destination areas and cultural sites. Grazing cattle must also be kept away from spawning fish. Lastly, the proposed 69,000 acres of proposed wilderness would not allow for any new permitted grazing and make modern ranching impossible as motorized vehicles or tools are not allowed and signs of human developments (e.g. stock tanks, stock corrals, fences) are prohibited. These proposed changes will bring an end to grazing on the Colville National Forest in the near future. Considering the life span of a management plan is 10-15 years, this means adopting the proposed management plan would prevent the next generation of ranchers from successfully operating in the Tri-County area. While the immediate economic loss is concerning, the social-economic impact to the area must also be considered. Many young people who begin ranching for a living are often taking over a family enterprise. The hard work of parents and grandparents has, in many cases, created the ranch that can be passed on. Those young people who are able to take over the ranch and stay in the community will become the next elected officials, volunteer firefighters, coaches and 4-H leaders of the coming years. But if ranching is not a realistic option for making a living, many young people will be forced to move away from the area and their exodus will eventually create economic and community dead zones in Eastern Washington. The likelihood of this depopulation in Eastern Washington will occur on some scale if the proposed CNF grazing management is implemented, but coupled with other management proposals in the plan, it will be a certainty. *The proposed annual timber harvest on the CNF in the plan revision is only 62 million board feet. Timber harvest remains one of the primary ways the Colville National Forest meets economic needs. Despite the harvest goal in the 1988 plan of 80 MMBF per year, timber harvest levels between 1988 and 2014 only averaged 47.6 million board feet per year. The amount of timber sold has declined over the life of the 1988 plan to as low as 18 MMBF in 2005. The fact is while the plan may set a timber harvest goal, the data shows that the goal is rarely, if ever, achieved on an annual basis. So while the proposed goal may be 62 MMBF, the reality is likely to be half that amount annually. Considering the CNF supports the most concentrated milling area in the state, a declined timber harvest will result in fewer processing facilities and fewer jobs. Many of our members have worked in the woods as used that income to sustain themselves and their families since the 1988 forest plan was passed. In fact, forestry and logging employment and income in Stevens County equals nearly 10 percent of the total county economy. We need timber jobs and businesses need access to public land timber in order for the area to be financially solvent. *The proposed Wilderness will exacerbate the damage caused by wildfires, as wildfires are encouraged in Wilderness areas and are only controlled if a wildfire : 1) has a high potential to spread outside national forest boundaries or into areas with extensive recreation or administrative developments 2)is not meeting wilderness objectives 3)would adversely affect an ESA listed species. *The proposed Wilderness areas will reduce any community benefit from public lands by reducing access, removing grazing and creating unmanageable stands of brush and timber. SCCA believes the current CNF forest plan revision is flawed in its inability to appropriately meet and sustain the management needs of a multiple-use forest. Decreasing timber and grazing activity while increasing Wilderness, for instance, will depress the local economy while reducing public access to the national forest. We believe a workable forest plan will work to maintain the logging and grazing management goals set by the 1988 plan and recognize that sound grazing and timber management translates into better recreation (both motorized and non-motorized) for the public, reduces timber disease and helps prevent catastrophic wildfires. The CNF team needs to go back to the drawing board on this plan and recognize that the plan proposal as outlined is neither appropriate nor beneficial to Eastern Washington communities. One AUM equals the monthly feed demands of one cow and one calf.